There are dozens of pool cleaners on the market- the good the bad and ugly. We supply only the best quality pool cleaners. We also have a team dedicated to pool cleaner repairs. Our pool cleaner repairs team will get your pool back to sparkling in no time! There are three basic types of pool cleaners. A suction cleaner that uses your pool filter pump to clean the pool, the most popular of these are the Barracuda and Kreepy Krauly. One of the best types of cleaners are the pressure pool cleaners which have their own independent pump and clean the pool very well. The best of these are the Polaris and the JetVac. They will clean the pool for a few hours each day as set by a timer. New on the pool cleaner market are robotic cleaners these clean the pool and scrub the walls and floor as they travel along. It really depends on what you want from a pool cleaner, how often the leaves are emptied from its bag or basket and the type of trees located near the pool. 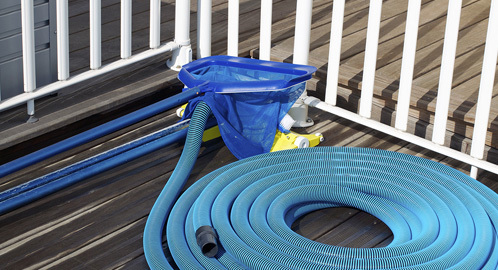 Choosing the wrong cleaner for your pool can be a waste of time and money. Call our office to discuss your pool cleaner repairs requirements. We also offer pool cleaner and pool pump repairs and quality salt water chlorinators.